INT-1: New custom kitchen. 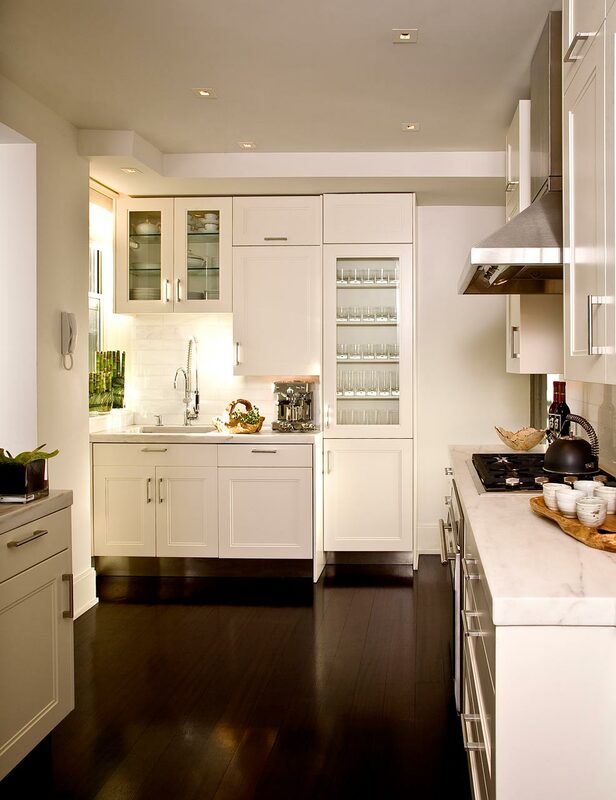 Custom kitchen cabinets in a soft white lacquer, satin finish with 2” Solid Statuary marble counter tops w/ honed finish. Brazilian rosewood wide plank, ¾” solid wood floors, satin finish. 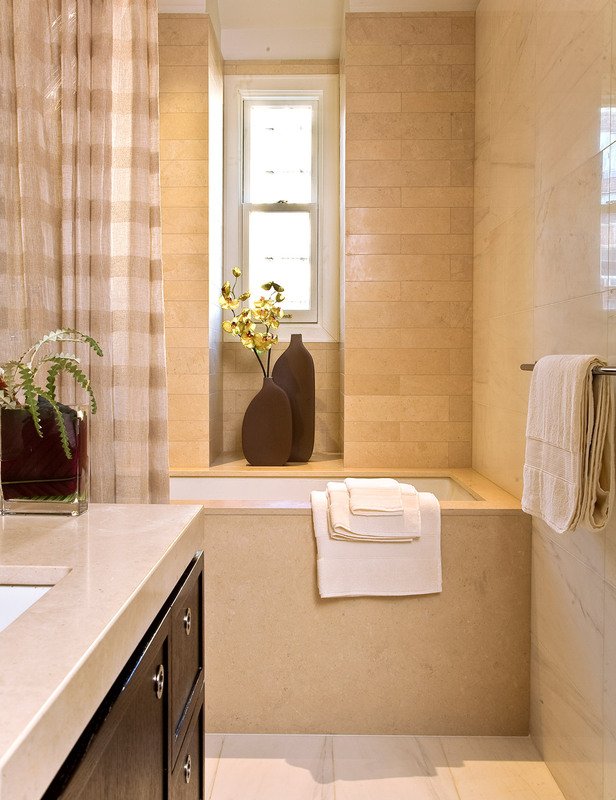 Backsplash in white, Italian marble tiles. INT-2: Detail of custom kitchen cabinets and sink area. Undermount, stainless steal sink (prof grade), professional style pull-out kitchen faucet and sprayer (extra tall). Solid 2” thick Statuary marble counter tops in honed finish w/ eased edge. Base cabinets with SS kick base. All counter top accessories and styling by GVD. 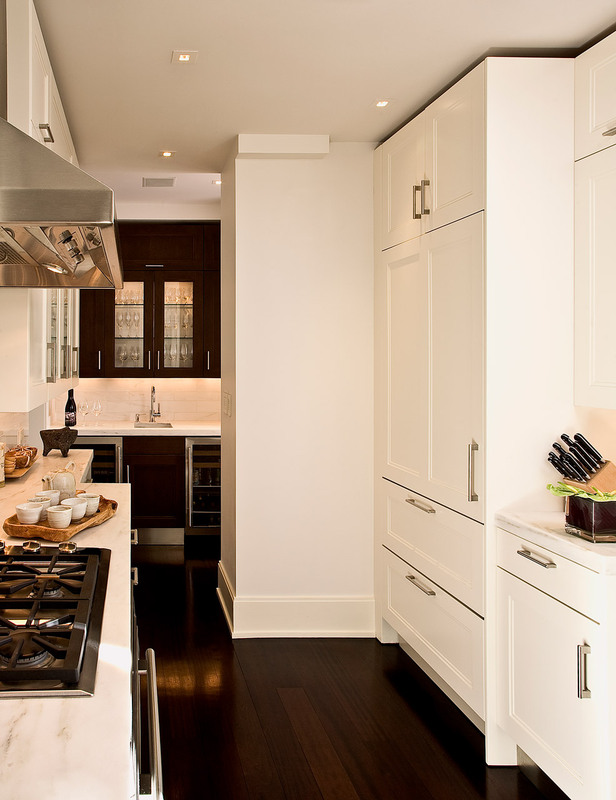 INT-3: Custom kitchen cabinets with backsplash in white, Italian marble tiles (4 x 16 & 3 x16) in running bond pattern. 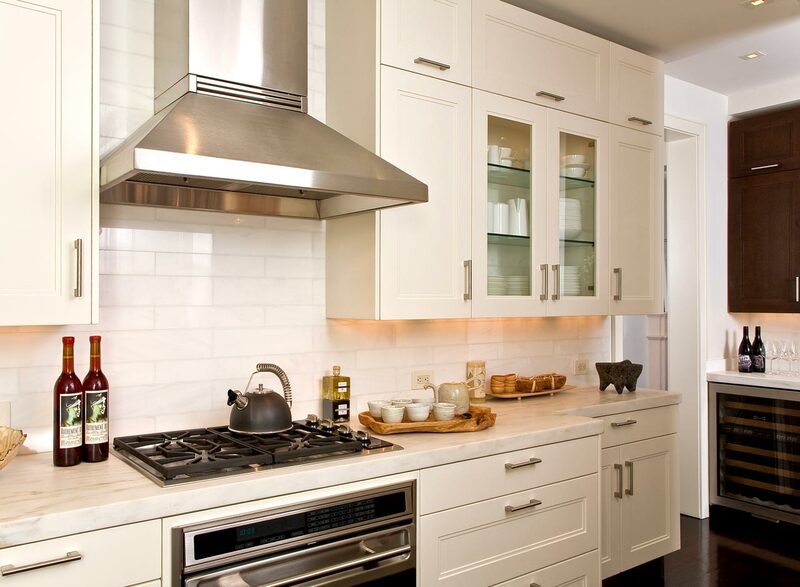 Backsplash tiles are exposed & featured behind all glass wall kitchen cabinets. Bar area with contrasting wood cabinets to match rosewood flrs. All modern, built in electronic appliances. INT-4: Bar area with contrasting custom wood cabinets (to match rosewood floors) with two wine coolers and glass display wall cabinet. Brazilian rosewood wide plank, ¾” solid wood floors, satin finish. 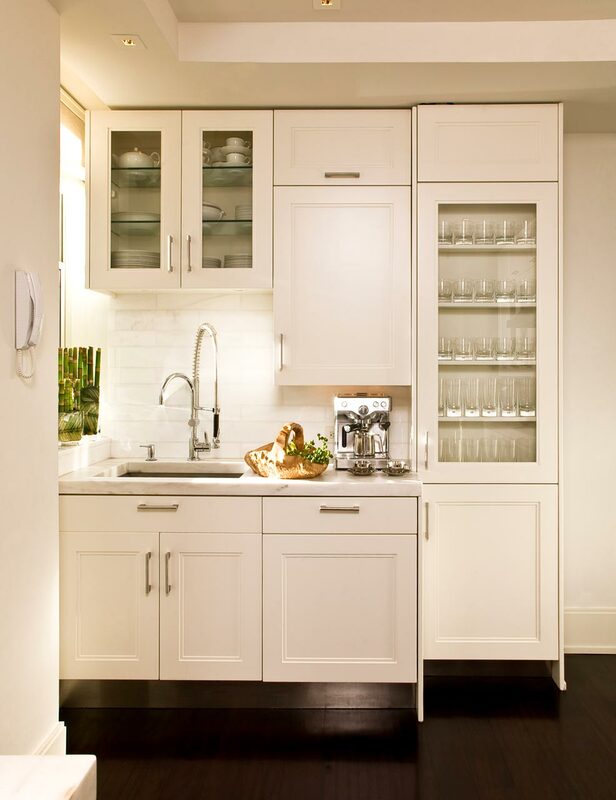 Fully integrated, built-in Subzero refrig with matching lacquer cabinet panels. INT-5: Gut-renovated, expanded master bathroom. Custom vanity in oak (dark stain & satin finish) custom round, nickel pulls and matching mirror. Limestone 2” counter top. 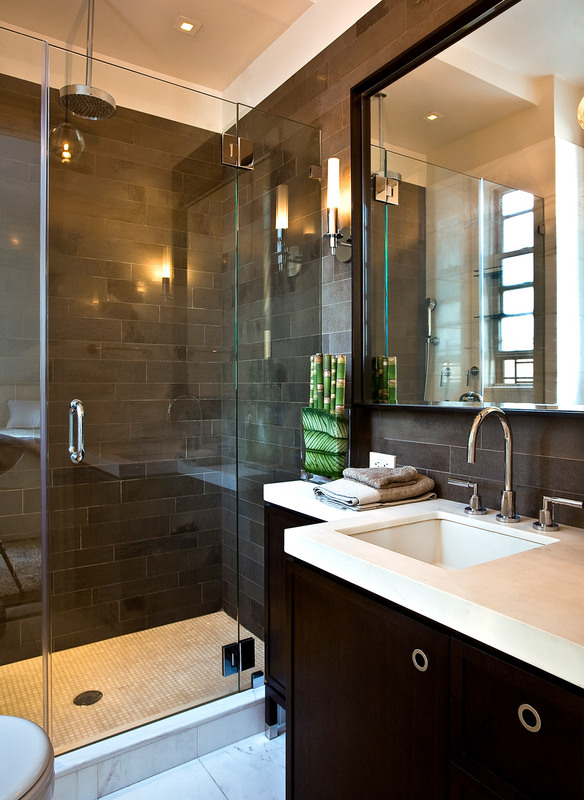 Satin nickel fixtures and rainfall shower head. 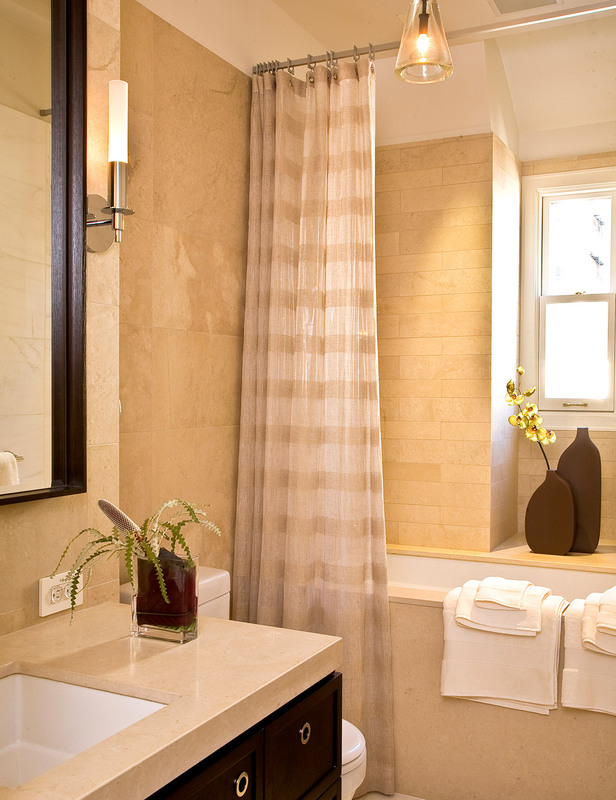 Dark chocolate limestone wall tiles (4 x16) with contrasting white 12x24 marble flr tiles and shower mosaics. INT-6A: Gut-renovated, guest bathrm. Custom vanity cabinet in oak (dark stain & satin finish) with custom round satin nickel pulls and matching mirror. Limestone 2” vanity counter top. Satin nickel fixtures. Limestone wall tiles in 12 x24, 4x 16, 3x 16. New deep, soaking cast-iron bathtub. INT-6B: Gut-renovated, guest bthrm. Custom vanity cabinet in oak (dark stain & satin finish) with custom round satin nickel pulls and matching mirror. Limestone 2” vanity counter top. Satin nickel fixtures. Limestone wall tiles in 12x24, 4x16, 3x16. New deep, soaking cast-iron bathtub.